With less and less space available in urban areas for gardens these days I wanted to write a handbook for people who need inspiration for their tiny, outdoor areas. My dear friend and photographer Sally Tagg loved the idea, as did Penguin and so Big Ideas for Small Gardens was born. I learned a lot writing this book and hope its readers will too. Many designers for instance use theatrical tricks in small gardens, playing with perspective, materials, plants and light to to make them feel bigger or more interesting. The book is divided into chapters covering the main elements in a garden - paving, boundaries, water, decoration, overhead structures and so forth. This means that it will useful to anyone with a garden, big or small, whether they want to design an entirely new outdoor area or perhaps just install a water feature and some paving. 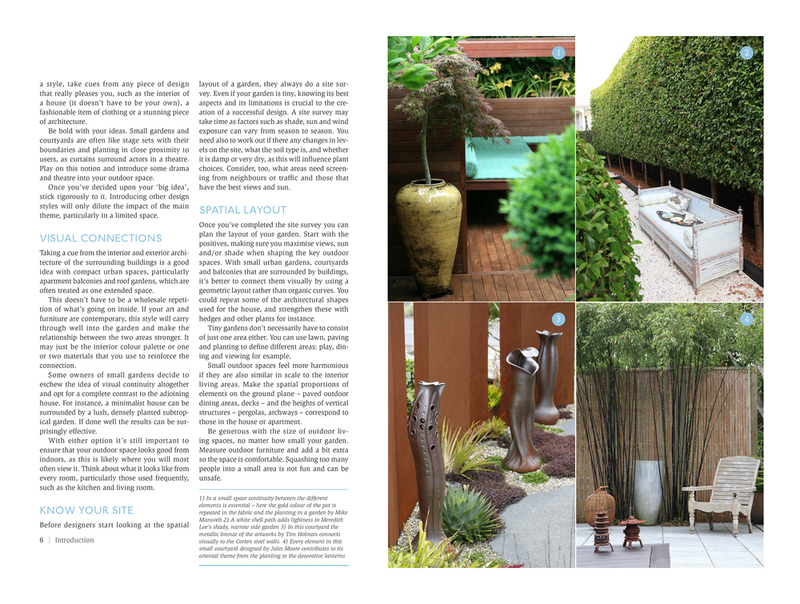 The motivation for this book was to pay homage to the many talented garden designers we have in this country. 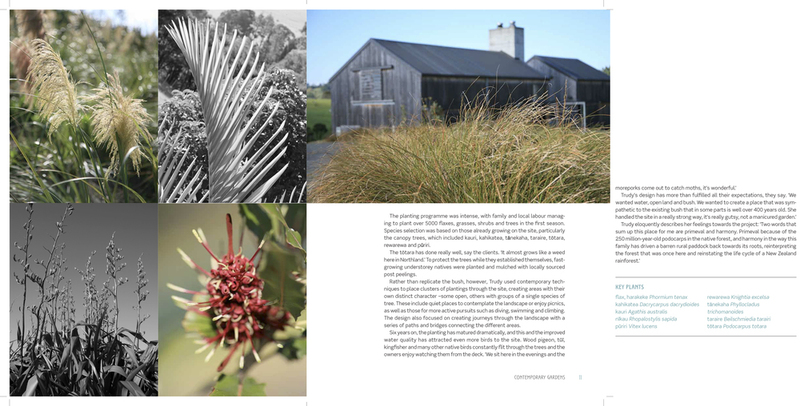 I have seen some amazing gardens in my career as a writer so it was a very hard job selecting only the 23 that are featured in Contemporary Gardens of New Zealand (Penguin). The book covers a range of different contemporary gardens from large rural properties to tiny urban balconies. Some designers have used native plants extensively, others focus on subtropicals or edibles. Sally Tagg and I travelled up and down the country to photograph these lovely gardens and her shots have I feel, captured their very essence. To paraphrase one of the featured designers, contemporary landscape design should take our expectations about gardens to a new level. I hope this book does that for you.